Packed with exam-style questions this unbeatable CGP Exam Practice Workbook for AQA AS-Level (and Year 1 of A-Level) Chemistry has all the practice students need to feel confident in their exams. There's an enormous variety of questions covering every topic they need to know, including a section of mixed (synoptic) questions. Plus we've added in exam tips throughout to help students gain every mark that's up for grabs! To round things off there are fully worked answers and mark schemes for every question. 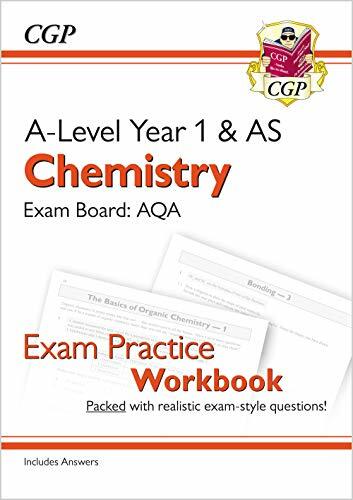 For study notes and even more practice don't miss the CGP AQA AS-Level (and Year 1 of A-Level) Chemistry Complete Revision & Practice guide (9781789080278).